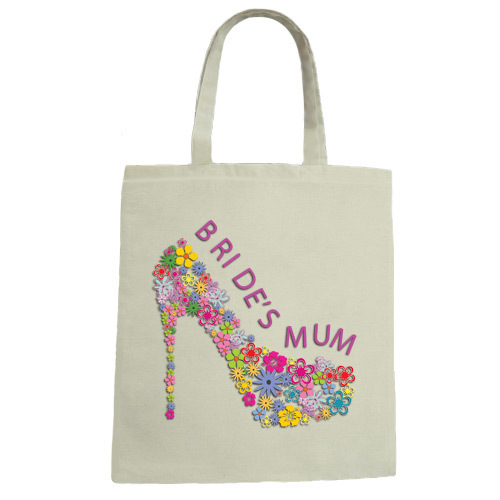 Best wedding canvas tote bag with BRIDE'S MUM logo on it, printed on one side. It would make a great wedding gift. High quality natural and black colors of canvas tote bag, 100% cotton. The canvas tote is approx. 16 x 14.5 inch, the perfect size to grab wedding gifts. We have several designs to choose from, so be sure and look at our other logo listings.